Our hotel is under renovation until Spring 2019. 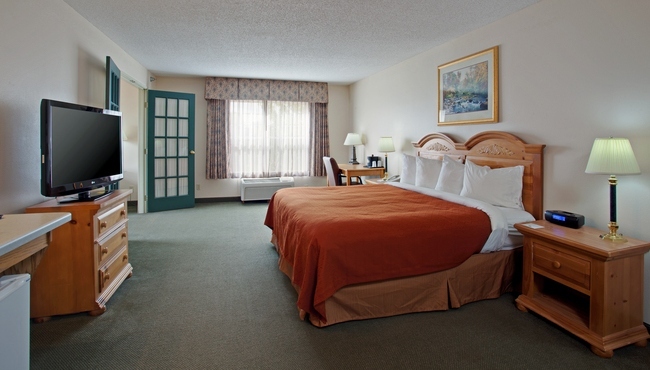 Drop your bags at the door and stretch out on a comfortable mattress at the Country Inn & Suites, Buffalo. 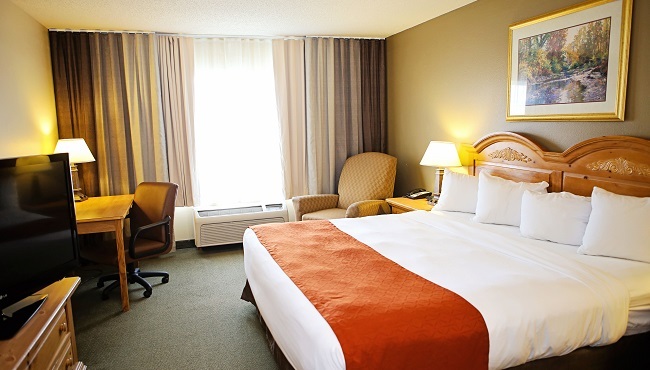 Our hotel rooms and suites help you feel at home with amenities like free Wi-Fi, flat-panel televisions and coffee/tea facilities. Whether your day consists of business meetings or outdoor adventures, you can enjoy a snack from the microwave and refrigerator in your room before catching up on emails in the comfort of a lounge chair. 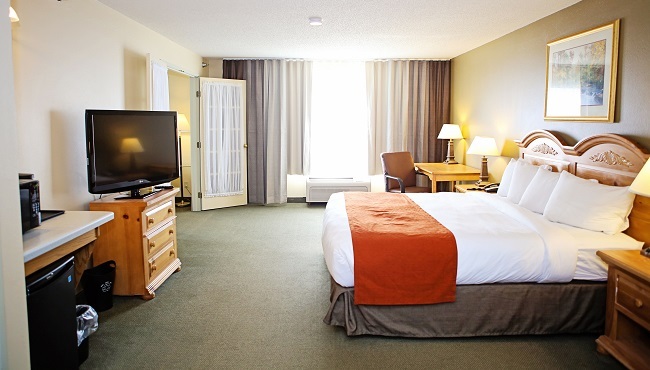 If you’re traveling with kids or just want to stretch out a bit, consider one of our spacious suite options. I travel a lot on business and pleasure, and I have stayed at this particular Country Inn a couple of times in the past month. Without a doubt one of the most pleasurable places I have stayed. They remember me by name and always have a special gift and treat for me in my room. 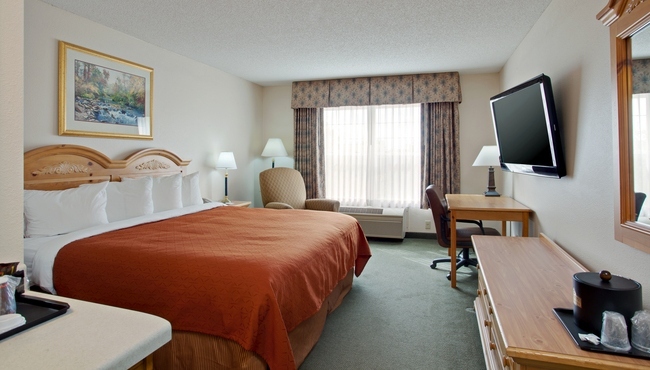 In addition to standard amenities like a flat-panel television and free high-speed Internet access, each Standard Guest Room offers a king-size bed or two queen-size beds. Whether you're traveling with kids or with a group of teammates, Parlor Suites make staying with up to six people more comfortable. Amenities include two queen-size beds and a queen-size sleeper sofa. 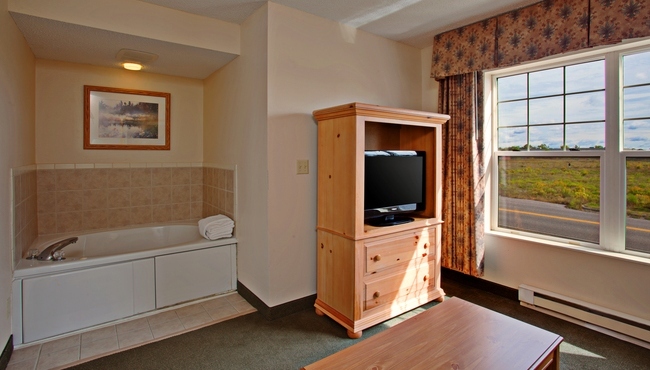 For an affordable romantic getaway, book one of our Whirlpool Suites. 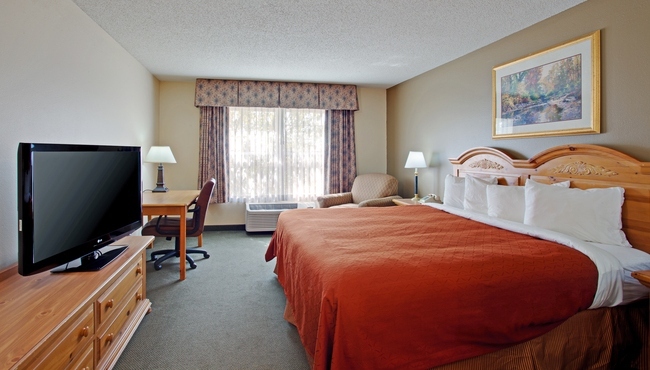 Features include an in-room whirlpool tub for two and a king-size bed. Some Whirlpool Suites also include a queen-size sleeper sofa. 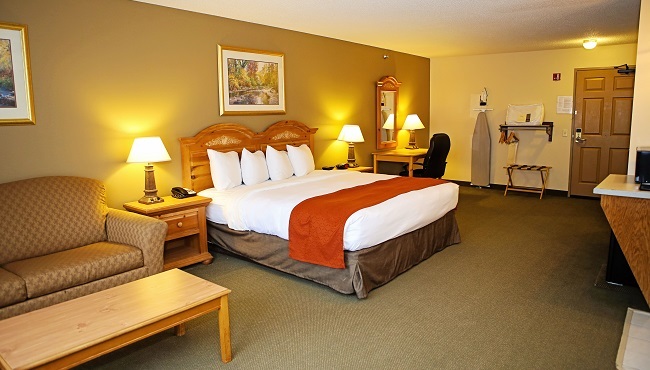 Wow your significant other by booking the Grand Suite for your next weekend trip. This two-room suite includes a bedroom with French doors, a king-size bed and a TV. The other, smaller room has a queen-size sleeper sofa, a whirlpool tub for two and an additional TV. We understand that accessibility is important to our guests. 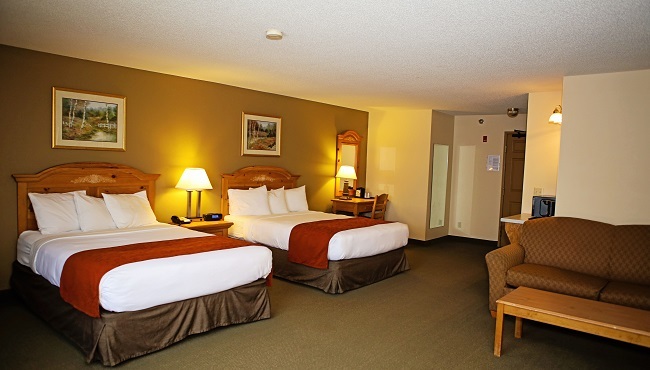 Our handicap-accessible rooms are designed to accommodate guests with special needs and feature a queen-size bed, a queen-size sleeper sofa and all standard amenities. Please contact the hotel to confirm if an accessible room will meet your needs or if you have other questions.